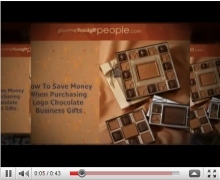 www.GourmetFoodGiftPeople.com/Chocolate. 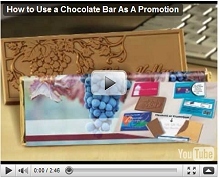 A couple of case studies on how to use a chocolate candy wrapper bar as a promotion to increase business. 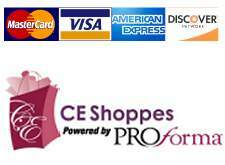 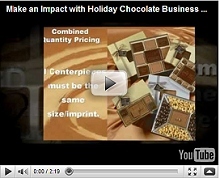 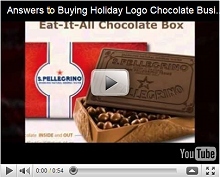 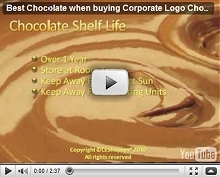 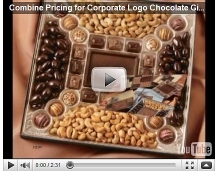 Product Video:1009 - Corporate Chocolate Business Gifts that WOW! 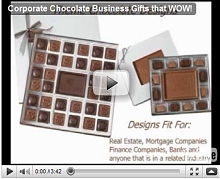 Corporate Chocolate Business Gifts that WOW!